25 x 25mm Direct Thermal Labels with Permanent Adhesive. 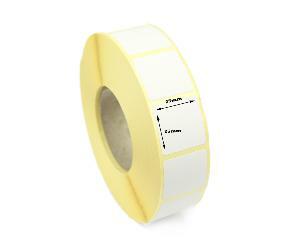 25 x 25mm Diameter Direct Thermal Labels - 25mm core - 2,500 per roll. 25 x 25mm Direct Thermal Economy paper labels are for short term use, having limited resistance to marking, smudging, scratching and contact should be avoided with moisture, oil, fats and direct sunlight. These labels are designed for destop thermal transfer printers and can be used with the following printer types and models.